Like Triangles? Then Don’t Miss This Place! A cross section of this quirky and fascinating building would show a triangle. In fact, a lot of the features of the building – including windows – are made up of triangles. Now for most people, this is quite interesting, as its design is rare. For some other people – computer types – particularly fans of a ‘video game’ (showing my age there) called Zelda, this place is even more intriguing. The windows are in the shape of a ‘trinity’ (called the ‘triforce’ in that game, but enought about that) and when the sun shines through them, it looks quite something. 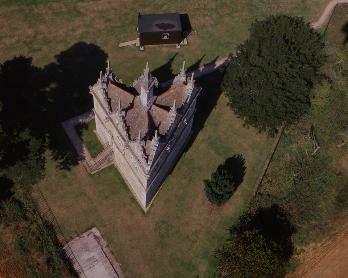 It was designed by Sir Thomas Tresham (father of one of the Gunpowder Plotters) and constructed in the late 1500s. Tresham was Roman Catholic and that’s why the number three is all over the place here. The ‘three’ (most illustrated by the triangle here) symbolises the Holy Trinity (the Father, the Son and the Holy Spirit). 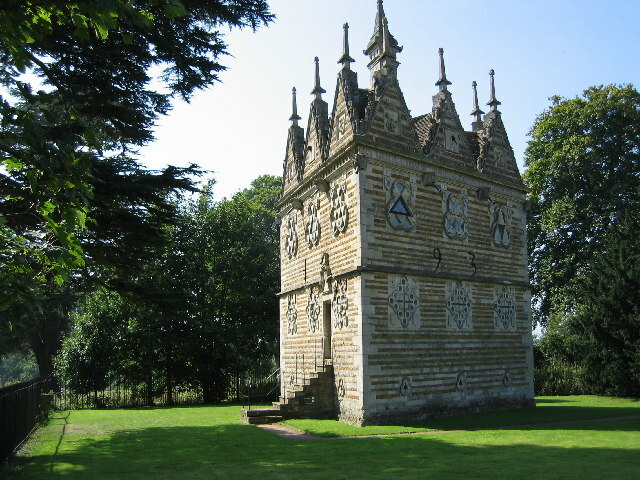 There are three floors, trefoil windows and three triangular gables on each side. The three walls are 33 feet long. Each wall has three triangular windows. There are three gargoyles. On the entrance front is the inscription ‘Tres Testimonium Dant’ (‘there are three that give witness’), a Biblical quotation from St John’s Gospel referring to the Trinity. Opening times are generally between 11:00am and 4:00pm, except on Tuesdays and Wednesdays, when it’s closed. Tickets cost £3.20 for an adult, £1.90 for a child and concessions (OAPs and students are £2.90).